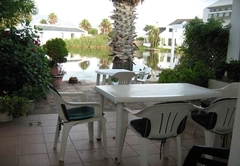 Waterways is a highly recommended property providing self catering in Marina da Gama for tourists visiting the False Bay region. 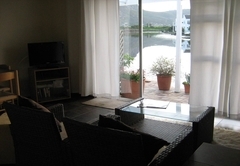 Boasting a stunning view of the lake and mountains from the patio right on the water’s edge, Waterways in Marina da Gama is the ideal location for your holiday. 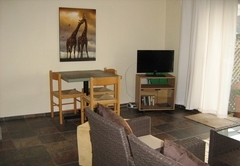 Waterways has three modern, self catering flatlets which each have their own entrance. 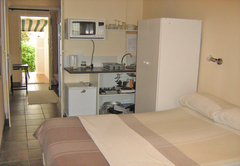 Two of the flats have fully equipped kitchen areas while the budget flat has a partial kitchen facility. 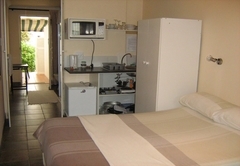 Each flatlet has an en-suite bathroom and a TV with DStv. 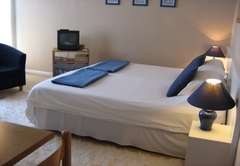 All linen, towels, crockery and cutlery are provided. 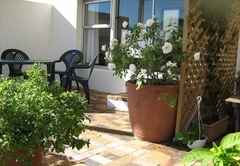 The main waterside flatlet has its own patio with table, chairs, sun beds and a braai. 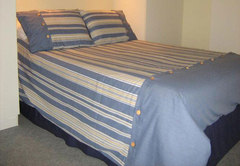 This flat also offers a wonderful view. 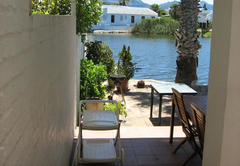 The off water flatlet does not have a view or access to our waterside but it does inter lead internally to the main flatlet making it a two bedroom flat when required. 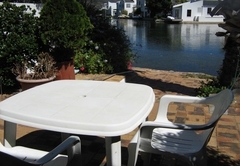 The budget flatlet has access to the waterside plus a large covered waterside patio with table, chairs and braai. 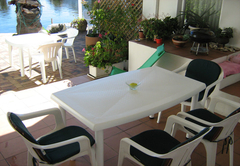 Waterways has off street parking and the Marina Da Gama estate has a general security system. Please note this is a non-smoking establishment. 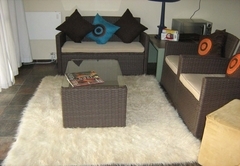 At Waterways you can enjoy a relaxing holiday. Make use of a pedalo, rowing boat, canoe and paddle-ski to explore the three hours of waterways that Marina da Gama offers. 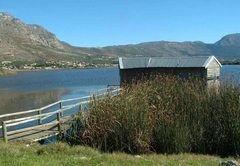 For those who like walking, the estate is ideal for an evening stroll with its own island and bird hide for keen birdwatchers. 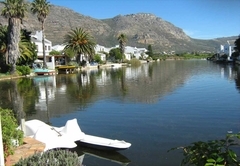 Waterways has been in operation for 19 years – we are sure you will have a wonderful holiday in our accommodation. 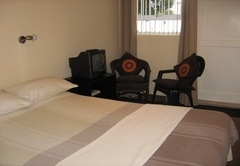 Lovely stay. 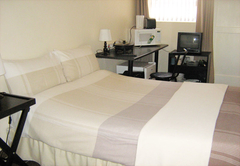 Quiet environment. We enjoyed every moment. Child policyChildren 6 years and older are are welcome.